ICONIC OPI COLORS IN A NEW, POLISH-ON GEL FORMULA! GelColor by OPI's shine-intense shades cure in 30 seconds and last for weeks! From its distinctive bottle and custom brush, to its unbeatably fast application and lightning speed cure, GelColor by OPI redefines salon gel services with durable, glossy OPI color. Lightning speed, 30-second cure. GelColor by OPI is fully LED cured from foundation to finish in 4 minutes per set, versus 12 minutes-plus for standard UV cure. 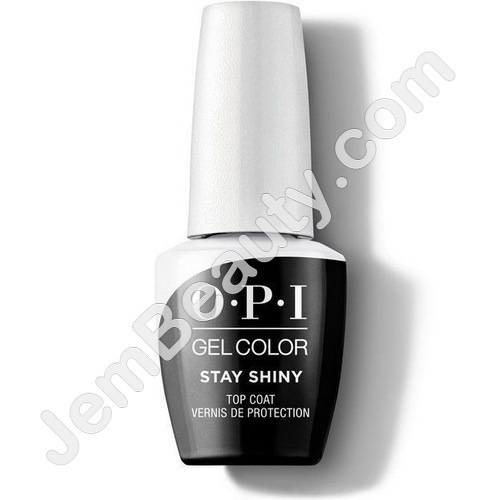 Independent lab testing showed GelColor by OPI's shine-intense shades maintain shine after 2 weeks. GelColor by OPI delivers unbelievably affordable services. And, it removes at a fraction of the cost of other color gels.